Real life is often an inspiration for fiction. Some real events resonate so strongly they inspire a lot of different ways to filter and explore the event, its social context and its repercussions. The 1930 Melbourne murder of schoolteacher and aspiring writer, Mary “Molly” Dean, is one such event. It’s referenced in George Johnston’s My Brother Jack, in the memoir of Betty Roland, who knew Dean, and in the 2002 play Solitude in Blue. Poignancy and a mysterious fascination were lent to Dean’s grisly death by the fact that it remains unsolved, and that she was in a relationship with local artist, Colin Calahan, and had been the subject of two of his paintings. 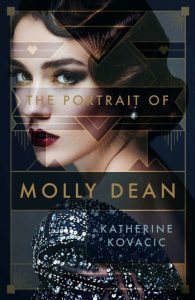 I knew none of this when Echo Publishing sent me a copy of Katherine Kovacic’s The Portrait of Molly Dean, except for the fact it was based on a true event. I resisted any research in favour of just taking in the story as presented. Kovacic’s debut novel is a marvellous blend of history and invention and uses the notions of art restoration as an effective narrative device to reveal her invented version of the truth. It begins in 1999 when art dealer, Alex Clayton, buys the Colahan portrait of Molly Dean at an auction. Clayton specialises in finding artworks that have been obscured or underappreciated, buying them cheap, restoring them and proving their provenance, and re-selling at a considerable profit. 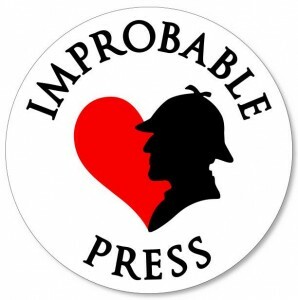 Her initial aim to research a little about Molly Dean’s death to make the picture more attractive to buyers (everyone loves a good murder mystery) becomes almost a compulsion. Shocked to learn the trial for the only suspect was abandoned on the day it was due to begin, she starts to investigate the 70 year old mystery herself. While her friend John Porter begins to slowly clean the portrait and bring long-lost Molly back into the light, an unknown person is trying to obtain the painting from her. Clayton’s investigation, told in the present tense, is interleaved with the story set in the 1930s, of Molly’s constrained life at home with her mother, her ambitions to become a journalist and novelist, and the night of her murder. This 1930s story is, like the portrait in 1999, is slowly revealed, with care and attention to detail. As Alex explores the case and potential killers, the details of Molly’s life are slowly revealed. It’s an elegant little leapfrog progress, where each woman’s narrative reveals just enough to fuel the next act. Modern Alex’s independence, backed by John and her dog Hogarth, is a complement to and a contrast with doomed Molly’s determination to break free from her awful mother’s house and assert her own independence. The two women are very different but they have a kinship, and it’s easy to get emotionally connected to them both. While there’s nothing to be done about Molly’s fate, Kovacic cleverly entangles the reader into concern for Alex, whose investigations are of clear concern to someone from the past. Kovacic’s style is clean and well-paced, and she manages to give the 1930s and the 1990s each a different feel without being jarring or sacrificing clarity or pace. There’s texture and pathos in this story, as well as courage and surprises. Kovacic is careful to point out in the afterword of The Portrait of Molly Dean that her resolution to the mystery is her own invention. But it’s a good one, in a well-told story, and a very satisfying read.